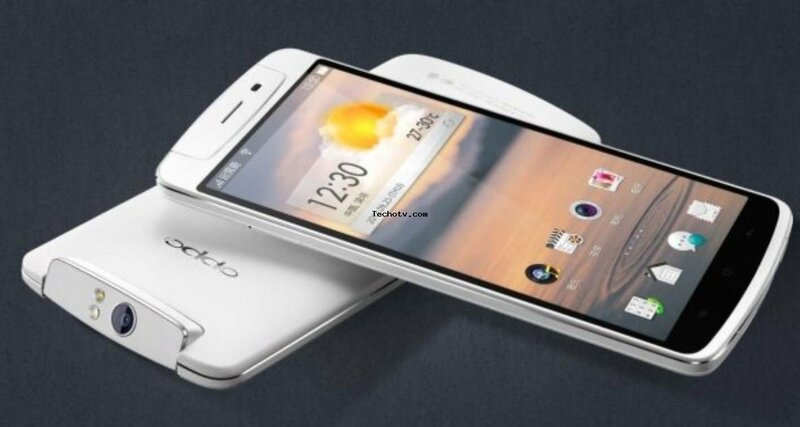 Oppo has packed 1.7GHz Quad Core processor in it to make it a good performer. Delivering productive multitasking with its 2 GB RAM, this phone is a true performer. 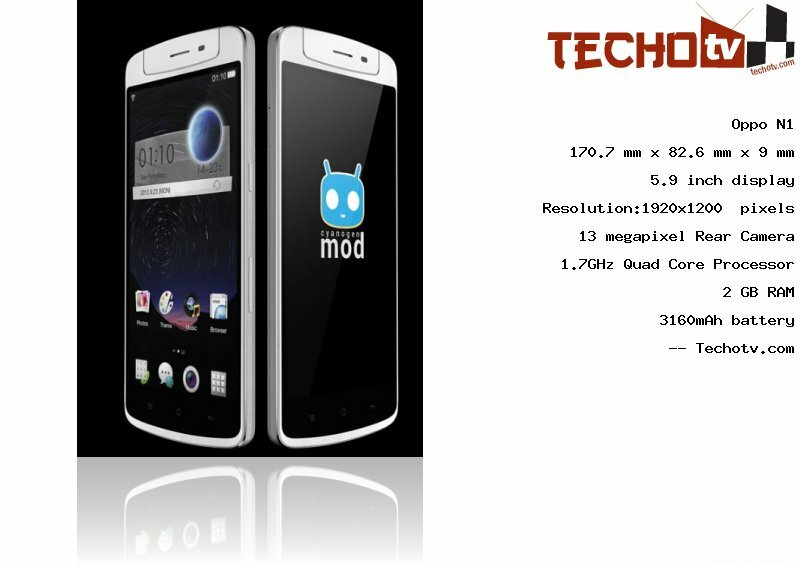 On its 5.9 inch screen, the display resolution is 1920*1200 pixels. 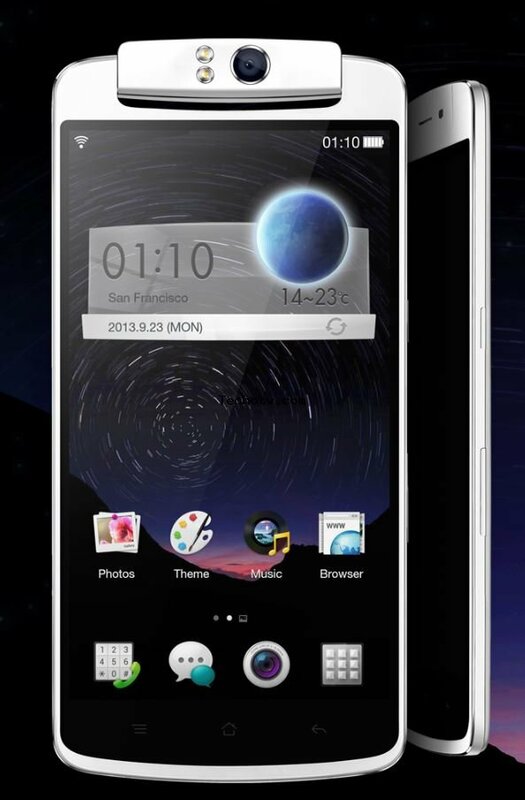 With 384 ppi pixel density, the screen looks more life-like. It has physical dimension of 170.7 mm X 82.6 mm X 9 mm. It features about 16/32 GB as its internal memory. 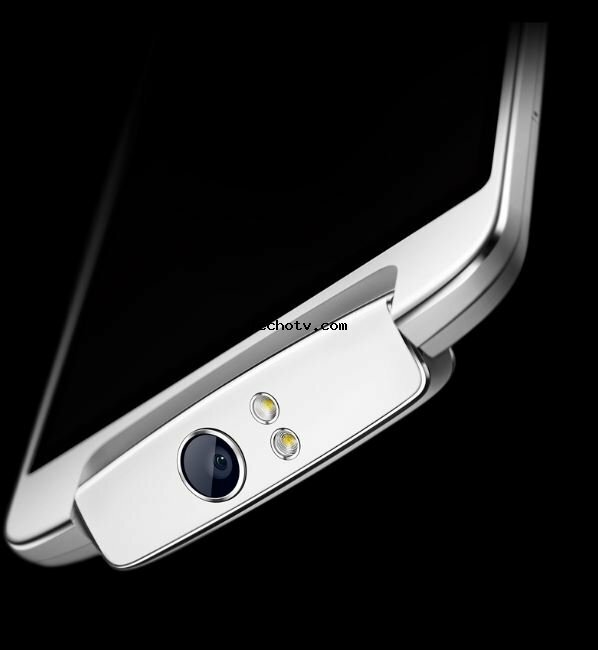 On the back is located a 13 megapixel camera. 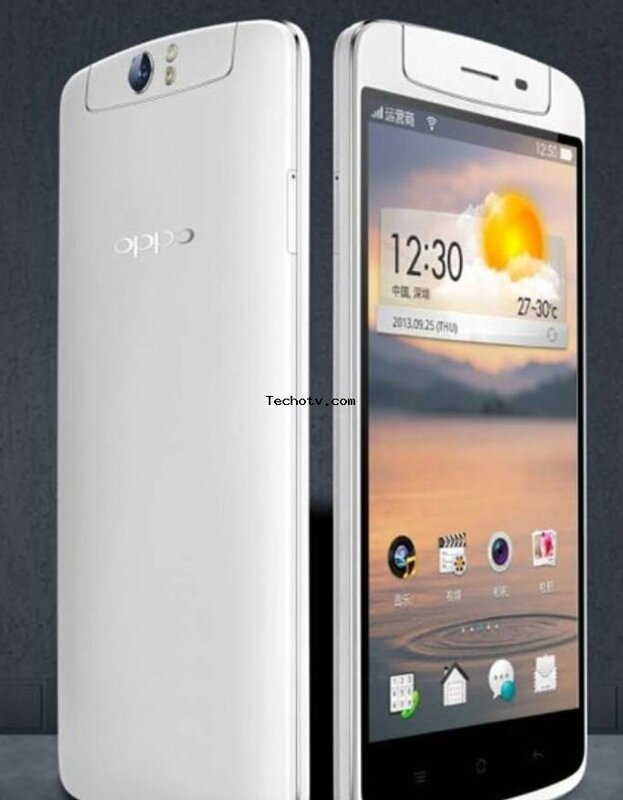 Sorry, The price of Oppo N1 is not available at the moment. Our team is keeping an eye on online stores to get you the latest price as soon as available. 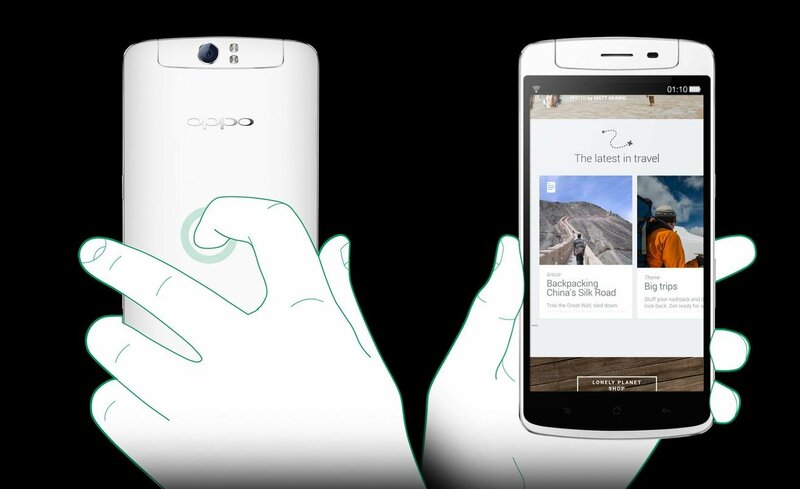 Touch-sensitive area at the back below the camera called as O-Touch, which supports long press, sliding and double tap gestures to carry out certain basic tasks. Camera module can rotate 260 degress allowing it to be used as front camera as well. Free O-Click Bluetooth Remote Control accessory for controlling camera from upto a distance of 50 meters.